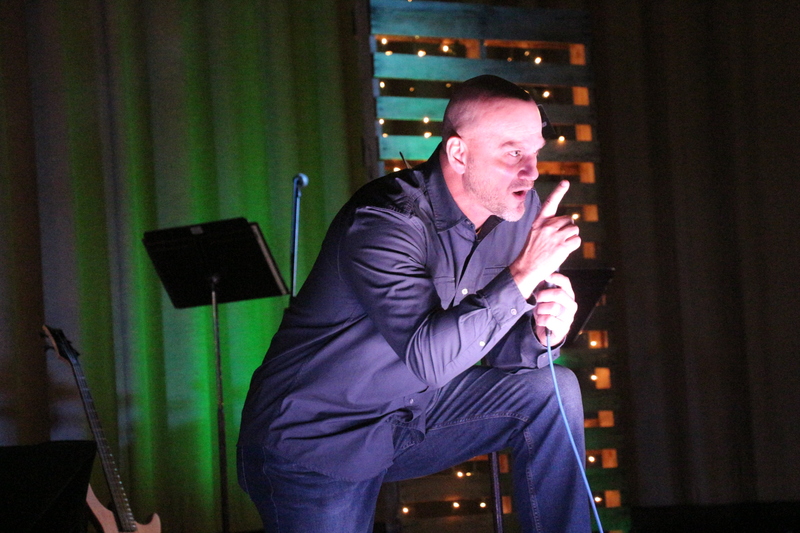 A former Major League Baseball player was a hit with the approximately 250 people who attended the North Central Kansas Men and Boys Rally, March 6 in Beloit. Les Norman, who played for the Kansas City Royals from 1995-96 and now hosts a radio show on sports-talk station WHB in KC, spoke to the crowd after a tour of schools in the area earlier in the day. Kevin Marozas, chairman of the rally, said he was impressed that Norman told about his life differently at every stop. Norman, 49, told about growing up with a physically and mentally abusive, alcoholic father who left the family when Les was 12. After enjoying the success and lifestyle that comes with being a rising baseball player, Norman told the crowd that he had hit rock bottom, until he found Jesus thanks to Bobby Meacham, a former New York Yankees shortstop who was the manager of Norman’s minor league team. “God taught me how to be humble,” said Norman, now a married father of two sons. The night also included a performance by Southwestern College Worship Outreach, a praise band that was given accolades by Norman in the first few minutes of his talk, comparing them to well-known contemporary Christian acts. “There’s an anointing on that worship band, I tell you,” Norman said. The rally included welcomes from the Rev. Dee Williamston, Salina District superintendent, and Bishop Ruben Saenz Jr., attending his first North Central Kansas rally and his first time in Beloit. “Hopefully it will open up your spirit to receive God in a new way,” he said of Norman’s presentation. The rally, moved to the Beloit Municipal Auditorium after several years at Beloit High School, marked its 69th year of celebrating Jesus. Although originally known as a “men’s rally,” boys were welcome several decades ago, and women and girls were a more recent addition to the audience. Marozas said he and the committee is uncertain how the 70th annual rally will be celebrated next year, but that it will move to a Sunday night, after being on a Monday night for its entire history. “We want to reach more people,” Marozas said. Hear the rally, in a recording from KVSV Radio.